The average donation to his campaign was $47. 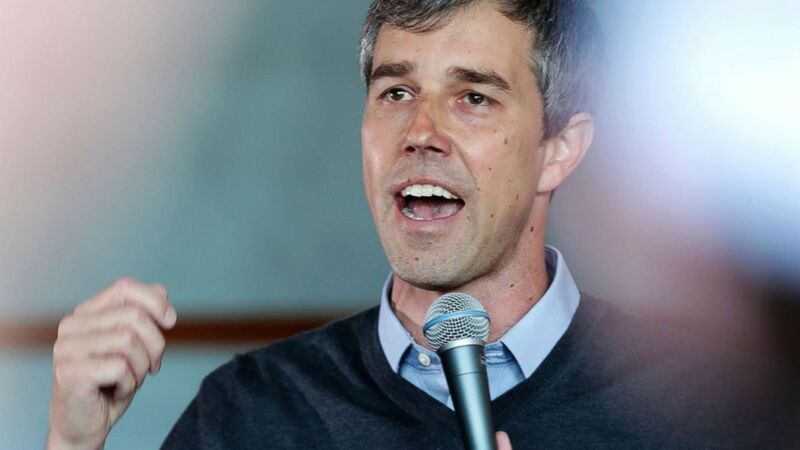 (Amber Arnold/Wisconsin State Journal via AP) Democratic presidential candidate Beto O'Rourke visits Cargo Coffee on East Washington Avenue during a stop in Madison, Wis., March 17, 2019. 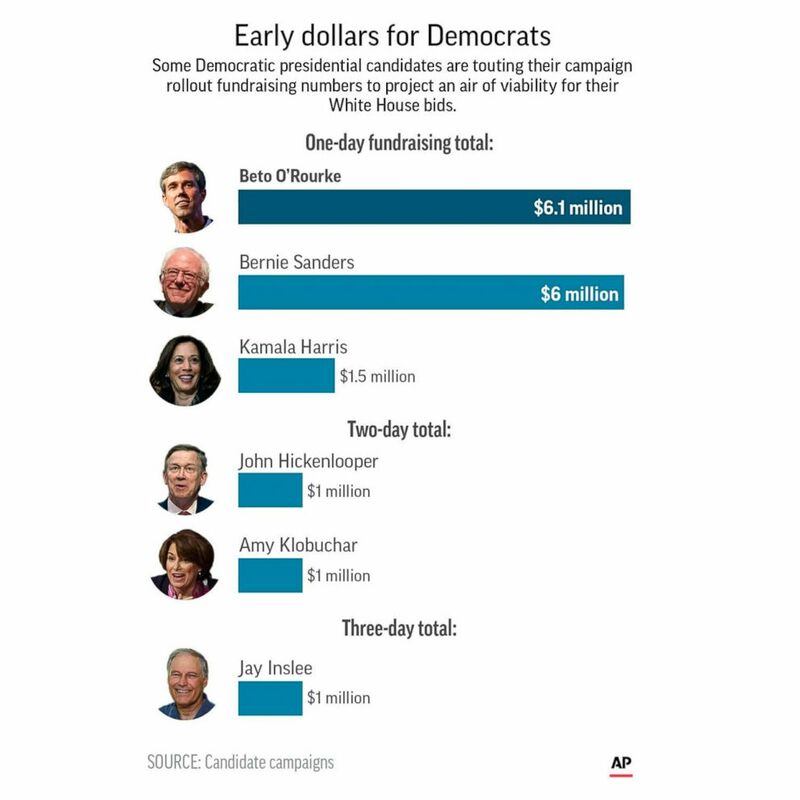 (AP) An Associated Press graphic shows the self-reported early fundraising figures for Democratic presidential candidates Beto O'Rourke, Bernie Sanders, Kamala Harris, John Hickenlooper, Amy Klobuchar and Jay Inslee. 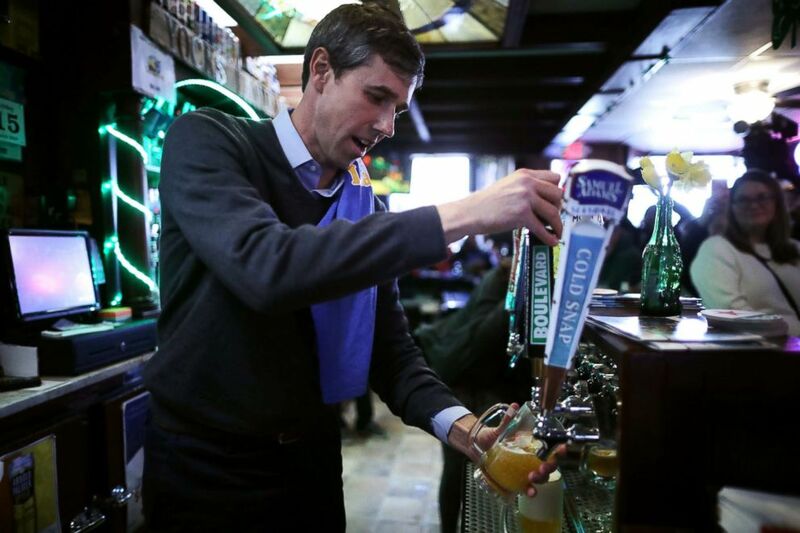 (Chip Somodevilla/Getty Images) Democratic presidential candidate Beto O'Rourke pours a beer for a customer at Yock's Landing during his second day of campaigning for the 2020 nomination, March 15, 2019, in Mount Vernon, Iowa. O’Rouke has not yet released any additional information or specifics separate from the total figure.